The Infiniti G comes with a 3.7-liter V-6, but automakers are turning more toward smaller fuel-efficient engines for even their luxury cars. 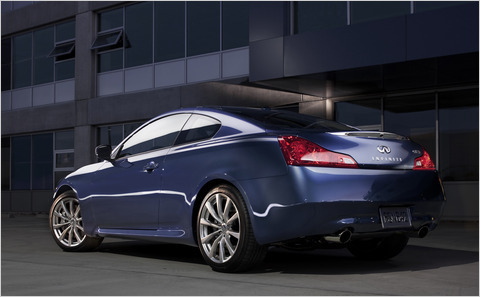 Nissan’s Infiniti G will someday be available with a Mercedes-Benz 4-cylinder engine, said Carlos Ghosn, chief executive of Renault and Nissan, in a conference call with reporters this week. Mr. Ghosn’s informal announcement came after a Wednesday press conference in which Daimler and Nissan announced a strategic partnership. The use of modest displacement, fuel-efficient engines in luxury and near-luxury automobiles has been common in Europe for many years, but until now United States car buyers have mostly not been offered that choice, nor have they clamored for it. But with a flood of electric and fuel-stingy cars pouring into every level of the automotive market, it appears that efficiency will no longer be the sole province of small, inexpensive cars.